There is something about New Year that spells change. It is a sign of hope that once a year we get a redo. Of course, it is an arbitrary marker, but it has power. This year, this New Year, what will we be? At this time next year, will we be all that we dreamed of, or will we be the same procrastinating, comfort loving, weight carrying individual that we were at this time last year? To improve my health, #4 was to find an exercise that my husband and I enjoy together. I think we hiked twice. To increase intimacy in relationships, #4 was to have one couple over for dinner once a month. Now how hard is that, Miss Introvert? To reduce temper outbreaks, #3 was no speaking in anger. It does still sound like a good goal. To have varied spiritual input, #5 was to find an outside bible study to attend. I did that, once. I am excited to go back this year, though. To increase the quality and effectiveness of the blog as a tool for God’s use, #2 was to get ahead, at least one day, on blogs by writing two, one day per week. That didn’t happen. I kind of just write as I go. To be used more effectively, for my specific purpose in God’s work, #4 was to find a senior high devotional for my girls. I really need to do that. See, that is a great goal! To intentionally meet the needs of others, #2 was to find a volunteer organization that interests me. I just blogged about that, so I have not found it yet, but it is coming. To make my home a peaceful haven that expresses our family identity (I think that this one is one of the most important), #3 was to attend one marriage conference each year. Done! We made two. So, as you can see, it is not for lack of ideas, although there may be too many. Believe it or not, there are more life categories. Instead, this year was shaped not by my desires but by divine appointment mixed with circumstance. It was crafted in such a way that I am different from when I started, but I could not have planned one day of the process. I was reading in Luke where Jesus heals the paralytic (Luke 5:17-26). Imagine yourself a Pharisee in this scenario. A man has just been lowered through the roof and, “When he [Jesus] saw their faith, he said, “Friend, your sins are forgiven you” (Luke 5:20, NRSV). That is pretty surprising, and the Pharisees thought so, too. They were not pleased with Jesus’ discussion with the party crasher. But, of course, Jesus knew this. To which He said, “Which is easier, to say, ‘Your sins are forgiven you,’ or to say, ‘Stand up and walk’? 24 But so that you may know that the Son of Man has authority on earth to forgive sins”—he said to the one who was paralyzed—“I say to you, stand up and take your bed and go to your home” (Luke 5:23 & 24, NRSV). Imagine that scene. Watching this carpenter’s son forgive sins and heal a paralytic man, emphasis on the forgiving sins. So, as you sit there with your mouth hanging open, watching Bobbie Raye stand up and walk out of the room, glorifying God and doing an awkward, atrophied, sinless dance, what do you feel? Amazement. We glorify God with this man. How can we not? In response we say, “We have seen strange things today” (Luke 5:26b, NRSV). Without sounding disrespectful, what we believe is strange. Our sins are forgiven, isn’t that strange. Strange is the nature of our belief because it exists within the life and works of Christ. When I read scripture I see things that I just can’t explain. They are mysterious and wonderful. They are divine and strange. I don’t really wish for you or me that we hit every goal this year. I still might not blog ahead of time because there are other things that I need to attend to besides social media, and some days there will be no post at all. Life is crafted as we go. I really understand this after 2009. So, I wish for us a year of strange things, a year of amazement and glorifying the Father with the struggles and victories of our brothers and sisters. 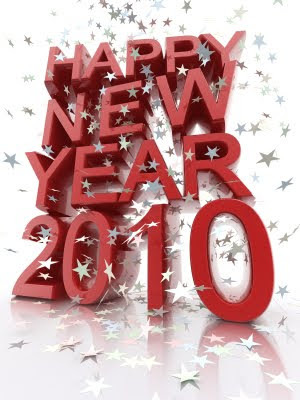 I wish for us, in 2010, a first row seat for the wondrous works of God in our lives, even if it involves party crashers. I pray that we are patient as He unravels His goals and His intent for our year. 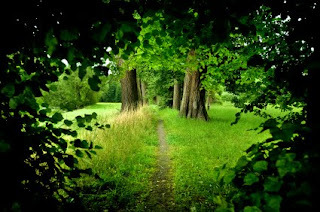 I pray that we prepare the way of the Lord into our lives, and make His path straight. Have a wonderful and safe New Year’s Eve! Well, here it is…Andrea found this cute meme, then my friend Victoria took her lead…I had to join in. It looked so fun. I am a day late, but really, is anyone counting? Here is my effort to get my feet wet after Christmas break. My marriage grew. My husband and I call this, “The Year of the Marriage”. We have had a scare over a lump in my breast during November and December. On the 22nd, we found out that there is no cancer, but the process has been challenging. I talk about this on the Exemplify Devotional Channel on January 14th. Learning how to be a stay-at-home wife, while my husband started his new job. The length of time that it took for me to recover from back surgery (2008), and the process of figuring out how my body works now. How come you can never think of what you read when someone asks? Jesus changed my heart. I have been transformed unlike any other year. I gave Him what was left. Also, forgiveness became really intentional this year. I can clean my house, which I could not do after the surgery last year. That was my happiest physical achievement. I, also, started jogging which has slacked over the holidays. All and all, I am pretty happy. I still think that this is my weak point. I am somewhat an introvert and I don’t like the phone. I have made a better effort this year, but not the best. This year, I would say that it has been cooking and decorating. We keep remodeling (as impossible as that sounds). I am going to do a before and after post. My house is constantly shifting under our feet. If you don’t visit for a few months, watch out, you might not recognize it. Bathrooms. How I hate the idea of them! Being in the word and in prayer. Any time that I spent with my hubby. Grocery stores are not that bad. 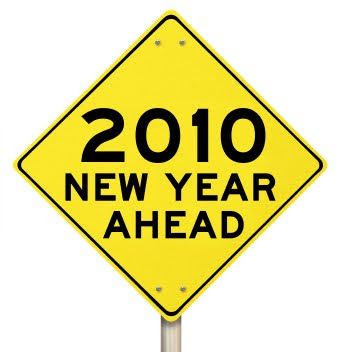 Create a phrase or statement that describes 2009 for you. I was going to send this little message yesterday, but I was indisposed. I am praying that I will be able to fill you in on the details of it, soon. I know that the Lord uses everything for good and I am looking forward to writing about some of the behind the scenes events of this season. I am grateful for this break because I really want to go blog visiting. Leave me a comment if you are doing something special for Christmas that you want to share. I look forward to seeing it. BTW, I did get my shopping done. I am wrapping today, though. We are truly last minute holiday people. I don’t know if that will ever change. We are even sending out New Year cards, instead of the traditional Christmas. I have to say, I like the change. This week is such a special times for families and in light of this I will be giving my undivided attention to mine. I will return next week. I hope that you enjoy your celebration of Christ’s birth. At this point I feel that I deserve a cookie, or a piece of candy. We at least got a gold star. Not only can I still recite this at the top of my lungs, I can think about it a billion years later. It is really the first part that is catching me. Why did He do it? Why would the sovereign God of the universe, in perfect relationship offer His own self, send part to us? This baby Jesus that we are celebrating, during this season, came from one basic characteristic so much a part of the Father that it undergirds each divine manifestation…He loved the world. Ok, think bigger than faithful women bloggers; think bigger than our families gathering around dinner tables this holiday. Think bigger than the Christmas lights on the block. Think of the man that I met walking into the doctor’s office to borrow the microwave. He was homeless, also the biggest patriot I have met. He came back from Vietnam only to live an impossible life, but he was home. I wonder where he will spend Christmas, or if he knows this God who loves the world; this world that they share. What about the girl who was not able to make it to church anymore because her addiction took that piece of her time? Oxycotin became her companion, slowly closing the door on freedom. I wonder where she will spend Christmas. I wonder if she still believes that Jesus can perform a miracle. God loves this world. We spend so much time fighting to get out, and look what He did to get in. We resign to being in it and not of it. We proclaim that, and wave our flags of difference, all the time using this difference to serve as a barrier of participation. We were sent into the world, but this world is scary. It is dangerous. God loves this formidable place. This baby we celebrate was sent simply because of love. Babies are made out of love all of the time. We get a glimpse of this relationship from that heavenly shadow of our own experience; but sending a child into this scary and dangerous world to seek out the drug addicts, the homeless, the murderers, the thieves and the rude is just what He was born to do. This is a different love. I just wrote a post for Exemplify’s devotional channel about this coming year (click here to read). I have felt a burden to attend to the way of the Lord into my heart. I want to herald Him into my heart, to make the banner one of affiliation instead of difference. This means that I have to engage my feet, to be involved in the work of Christ in a new way. 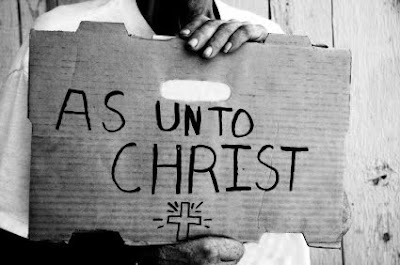 It is all wrapped up in one statement, “For God so loved the world that He gave His only Son”. I do not need to do it because my church supports it, or it makes me feel good. I need to go back to the origin of me, of us. I am a sinner. Because God loves the collective sinner and the individual sinner, He sent His Son. This year, I want to be involved in His work because I share the burden of love for this world. Father, give me courage to be like you, look like you. Let me share your burden for this world and call me into your service where you see fit. Give me love for the things that I cannot understand, and feet that will carry me into your work. Do you feel called to something new this year? ...Christmas is the beginning of the story, or at least a good second beginning. It is the story of God sent in human form to be our Savior. The heralding of this event is similar to what we do during this entire season. The prophets and John the Baptist were sent to prepare the way of the Lord. 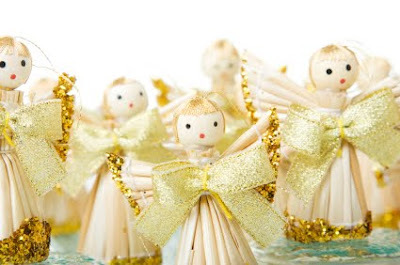 At Exemplify we have been heralding in the birth of Christ the entire month of December. It is exciting that Jesus came to us as a baby, poor and homeless. What a reason to celebrate when this one birth is weighed in the eternal balance! John cried out, concerning this beginning, to accomplish two things: prepare the way of the Lord, and make His paths straight. Do you think our call is any different? Jesus walks with us down this path every day of our lives. This got me thinking about the path that I have prepared. P.S. I am starting my holiday shopping today. Starting?! How is everyone else doing on that? “Struggle to reexpress some truth of God to yourself, and God will use this expression to someone else. Go through the winepress of God where the grapes are crushed…Try to state to yourself what you feel implicitly to be God’s truth, and you give God a chance to pass it on to someone else through you. 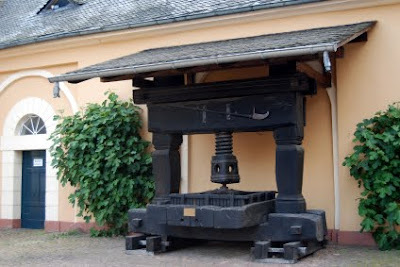 How is your wine press treating you? This is the way that Jesus defends Himself. He didn’t. I have heard so many hearts that are heavy over the holidays. Some of us are not going into a Christmas extending beyond the stereotypical holiday TV special. 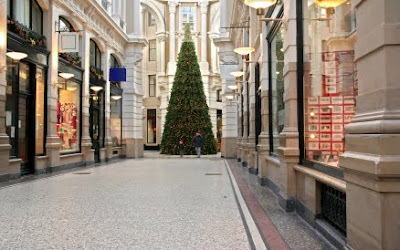 It is like celebrating in the mall, pretty but hygienic and void. I have been thinking a lot about this. It can be a stressful time for believers, even a time where we are called to defend our celebration of Jesus. After thinking about this, I hypothesize that we are accused, questioned, and even attacked for others to avoid dealing with God. Bear with me. I started running a little while, ago. I do enjoy the feeling after the run. I also love how it gets you in shape, quickly. If you told me that you wanted to become a runner, though, I would not suggest getting trained by a girl 14 weeks into this program and a year out of back surgery. I am not a perfect, or even a good runner. You need to join a gym, or ask someone who does marathon running to really get into this sport. In fact, I would go so far as to say that my form is horrible. My breathing would be embarrassing to a more trained athlete, and I probably need to learn more to keep from hurting myself. To learn what you need to know, you should go to the pros…not me. In an awkward way, this translates to my point. In this world we all share the same thing, we deserve death. All of us were created by the same hand, and we all have this same need for His presence in our lives. It does not matter what we have filled this space with in the past, it was meant for God. This is the same with you and I, and the same with those who critique and accuse us. Yes, even family members. The difference is simply that we know Him, now. There will be people who you come in contact with this holiday season that know of Him, but do not have a clue who, or that, Jesus really is. They settle on learning about Him from afar, very far sometimes. Some want to learn about running from afar. These few would be perfectly content learning to run from me so they can safely pick apart everything that I say and critique what they like and don’t like about my technique. They would question why I run in the afternoon as opposed to the morning. Then they would give a whole list of excuses why they do not like running or can’t. This is a luxury they have in my presence, but in the presence of a trainer, they would get chewed up and spit out. And, on Christmas, when we encounter those who want to pick apart our faith we will hear why they can’t make it to church, or how they are agnostic, or that they are “exploring religion”, or they hate Christians because they are hypocrites. Haven’t we been there, too? Oh, but in the presence of the Father, they would fall down. They would be speechless. Their head would bow. No more excuses. No more arguments. That is the distance that they fight against. Haven’t we been there, too? You might be the closest thing that they get to Him this season. Are you imperfect? Sure. Should someone be learning how to run this race from you? Well, maybe, you can start it with them. Point them in a way that leads to His throne. Push them in a way that reduces the distance to the Father. - We don’t have to say a lot. He didn’t. - We don’t have to defend Him or ourself. He didn't. - Everything that we say needs to point to Truth. As a way of pointing to truth, my mentor tells me to quote scripture to certain people in my life. This way I am never relying on myself for words. If I hear gossip, “You say,﻿ ‘We know that God’s judgment on those who do such things is in accordance with truth.’” (Romans 2:2, NRSV). If you are afraid of sounding preachy, you can paraphrase. The holidays can be hard. I pray that all of you are preparing wonderful times with loved ones. I also pray that you are pushing those who don’t know Christ in a way that reduces their distance to the Father. Are you going to face difficult family this holiday season? I would like to pray for you. Leave me a comment and let me know. This is kind of what we all felt like after we worked so hard putting up decorations this year. Sam, managed us the whole time. It was very helpful. The nativity is always the center of our decorations. When you walk in the front door, you almost run into it. I feel that it sets the tone for anyone who enters our house. A couple of years ago, my husband made this handy dandy entry table for me. He even engraved love stuffs on the back. It has served as our nativity holder each year. It is probably my favorite Christmas decoration, if you can even call it that. The mirror does pretty things with the lights in the living room. Every year, we have one new addition. This year it is the big outside wreath. We don't decorate outside, so this is a big deal for us. We bought the wreath and I stuck pretty things in it. My husband kept saying, "It has to be five feet". He was right, it had to be five feet. Next year, I am trying to get hubby to make a scroll/banner type decoration that goes above the arches. I want for it to say, "The King Is Born". What do you think? If you stand just right outside, the tree is framed in the wreath. How cool is that? I, of course, had nothing to do with that. It was all hubby. This is how we decked the halls, ya'll. We are, once again, company free. I want to share some of what has been going on since I last chatted you up. We had Thanksgiving late, of course. It was Thanksgiving with the Christmas decorations up, so I am going to call it Holiday Minor. My in-laws were in town to share it with us. We had way too much food and lots of fun. I had quiet times with my dogs. Actually, I was reading one morning before I left for an appointment and my dogs just kind of joined in. My husband snapped a picture. I thought it was so funny. Maggie's foot is resting on my bible. We had my father-in-law's birthday. I did not make that chocolate cake, btw. It was so good! There is a puzzle in the background on a table. We got that in honor of Grandma Knowlton who passed in March. She LOVED puzzles. I bought it just before everyone got here. I don't have much experience puzzling, so I thought a 2000 piecer was a good idea. Let's just say that it was an idea. This night we went to look at Christmas lights. I think this sums up where I live. This is a saguaro cactus covered in Christmas lights. When you live in the dessert, you adapt to everyone’s idea of Christmas. We definitely try. This is what it looked like when we tried to get my in-laws back up the mountain. We were an hour and a half from home, and thirty-four miles from our destination. It didn't even start to snow until thirty-five miles out. We sat right in that spot for two hours before they closed the road and made us go back home. So, we had company for another day. It worked out perfectly. There ends Holiday Minor. I will post Christmas (Holiday Major) decoration pics, tomorrow.